*At a time when the national interest should come first, India's 'liberals'turn on their own country and soldiers*On August 8 when Syed Ahmed Shah Geelani was shouting pro-Pakistan andreligious slogans in Srinagar, about 100 km to the north, Colonel J. J.Thomas with his quick reaction team was trying to prevent Pakistaniterrorists from entering J&K. Thomas and his two colleagues were killed in that encounter. The encounter was reported by a few media channels. Therewas no reaction by any political leader or a civil rights activist. Threedays later, the defiant anti-national veteran and other 'Azadi' leaders (oneknown for murdering air force personnel) were arrested before they couldlead another anti-national rally. Everyone screamed 'crackdown'! This week, a young fiction-writer-turned-activist writes that 'denial ofAzadi is delusion'. She accuses India of administering 'military occupationfor 18 years' and causing 'years of repression in which tens of thousandshave been killed, thousands have been disappeared, hundreds of thousandtortured, injured, raped and humiliated'. Political leaders — Abdullah,Muftis, Azad and their colleagues — who were elected and ruled the stateduring this period and should be answering, let that accusation pass! Whenour political leaders and administrators convert a 40 hectares land disputeinto a 'secession' issue in 60 days and award-winning romantic authorsrabidly endorse that, I feel it is time to introspect India's nationhood andgovernance. *There is too much political infighting and too little political consensus.We are a divided house in almost all essential policies including those ofeconomic development, diplomacy and security. Long-term strategic thinkingand the social and political will and determination to set things righteludes us in the kind of coalition politics and governance that existstoday. *That the crisis in J&K is a result of crass political opportunism, naivetyand administrative procrastination, if not slumber, is well known. Thegovernor, Congress, PDP and NC leaders tried to gain vote banks over thetemporary allotment of 40 hectares near Baltal. All of them are sidelinedtoday because the secessionists have taken over the situation. The BJP andsome other radical Hindus supported the Shri Amarnath Samiti in Jammu. 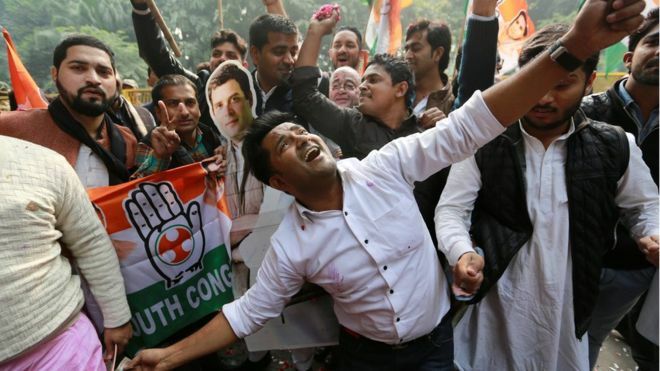 They have not only lost control of the latter but also considerable credibilitywith young generation in India. The naïve political leaders exhorted people to agitate, which resulted inviolation of law and order, destruction of public property, chukka jams,economic blockade, and even physical assault on policemen. When thesecessionist elements took control, the nation witnessed shouting ofanti-India, pro-Pakistan and Azadi slogans, people hoisting Pakistan flags,attempts to cross LoC and so on. *And now, how easy it is for some political leaders, civil rights activistsand media persons to shout and discuss secession? Do these people have anyidea of the social, political, strategic and economic consequences ofsecession? If India had followed so called 'liberal' advice in the past, wewould have not only said good-bye to most parts of India but also createdpolitical and economic instability in the region that is frightening toimagine. At the politico-strategic level, one requires a long memory andlonger foresight. Unfortunately, people like this are great favourites of TVchat shows and magazines who want to prove their liberal outlook and winmedia awards. India's national interest and strategies are offered instantoptions! *Margaret Thatcher, who said that 'publicity is like oxygen' seemspassé now. After messing up the 40 hectare issue, some political leaders, and evenadministrators responsible for the weak governance are now trying to recoverpolitical space by making a scapegoat of the security personnel, raising newissues like demilitarisation and removal of top cops from the scene. It isso easy in India. *When security forces personnel waiting in the bunkers forthe next round of sentry duty or a quick reaction call read or watch this,they wonder why the government is risking their lives defending the LoC andfighting terrorists. Are they expendable? Why are they deployed during such agitations if law and order is not required to be maintained? I have swornto the Constitution; I am liberal and have always believed that excessiveand prolonged use of army for internal security is neither good for thecountry nor for the army. I also know the rules of engagement in suchsituations and do not condone aberrations. And I do not accept innocentsoldiers being made scapegoats for others' follies or in angry writing.